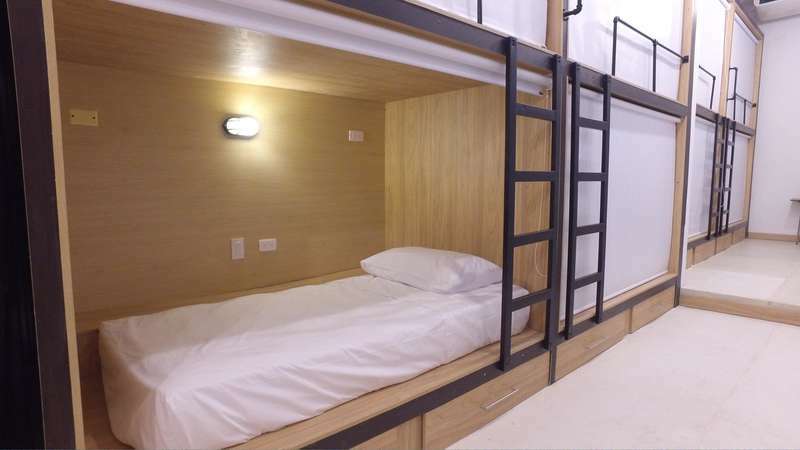 The hostel is a colonial house that was property of the Señores Condes de La Santa Cruz. Bourbon St Hostal Boutique, has 3 dorms, 42 beds in total (each bed has it own black out, 4 plugins, and a night light), all the hostel has A/C, for your confort we also have a pool, you have a kitchenette (oven, microwave, complimentary coffee, refrigerator, and all the utensils you need to cook) laundry service, 6 full bathrooms with hot water, a receptionist 24/7, free wi-fi, DirecTV, lockers for your security, billar pool, Tv room with dvd player, iron, hair dryer, computer to browse and to connect with your loved ones. 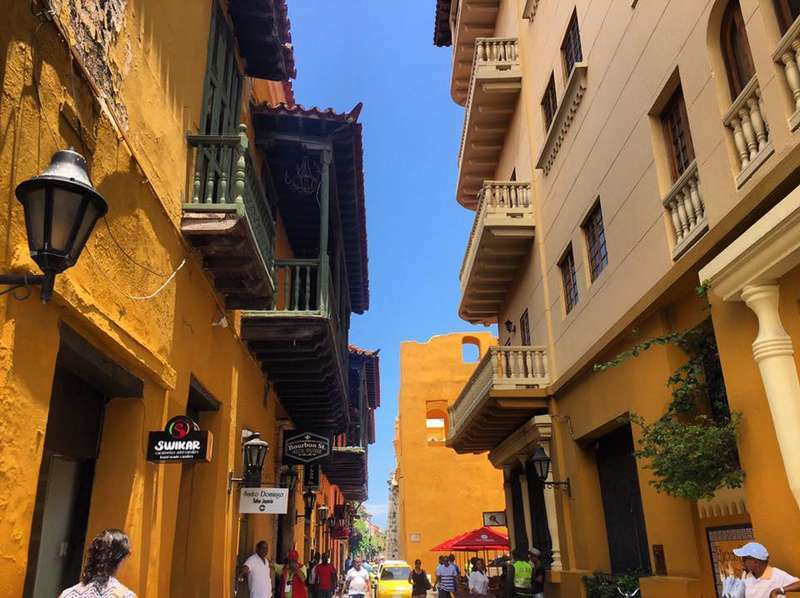 We are at the heart of the walled city, at Plaza Santo Domingo, where is the famous sculpture of the artist Fernando Botero, The Reclining women (Mujer Reclinada). We are at walking distance from the caribbean sea. From here you can enjoy designer boutiques, museums, all type of restaurants, historic sites like the Palace of Inquisition, navy museum, the Heredia theatre. We have at Bourbon St Hostal Boutique an age restriction. People the age of 17 or under are not allowed. There is also the policy that pets are not allowed at the property. No loudspeakers are allowed in the bedrooms. You can arrive to our hostal boutique either by taxi or walking. 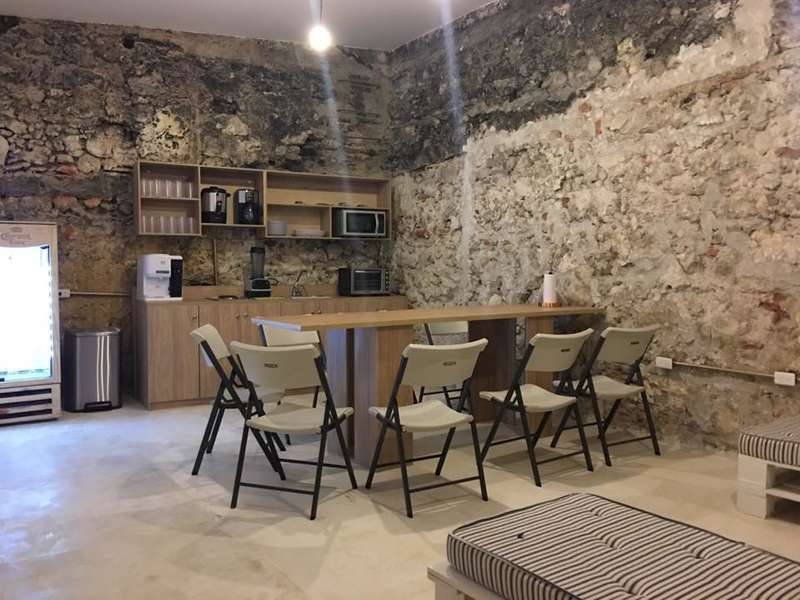 Since we are located at the most important plazas of the city is easy to get there, we are at Plaza Santo Domingo, the hostel is across the ancient Santo Domingo church. The address is Calle 35 #3-30, Plaza Santo Domingo. Cancellation policy: Cancellations made within 48 hours prior to check in are subject to full refund of the amount paid to the hostel and do not carry additional charges. We have at Bourbon St Hostal Boutique an age restriction. People the age of 17 or under are not allowed. There is also the policy that pets are not allowed at the property. No loudspeakers are allowed in the bedrooms.